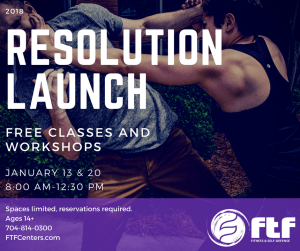 2018 Resolution Open House Events! If you are bored with your current workout routine and LOVE the idea of learning a new skill while getting in GREAT shape, this is the event for you! Jan 13 and Jan 20 we are offering FREE classes and workshops all morning long. These sessions are open to ages 14+ and to people of all fitness and experience levels. Join us for classes, complimentary chair massage, refreshments, and more! FREE t-shirt to the first 15 guests to arrive. This gym is amazing and has so many classes great classes! 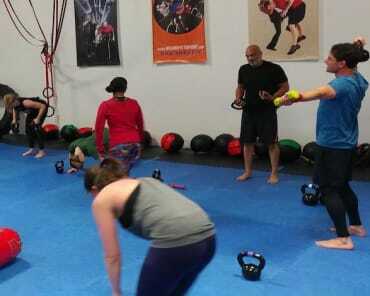 I honestly think I get a better workout from a 60min krav class than when I use to run half marathons. I got to the point with running that I couldn't even stand to be on a treadmill for 20 mins. There are times where I do 3 classes in a row and spend 2 solid hours working out and the dynamic atmosphere at this gym makes the time fly by! The staff is amazing; the girls working the front desk know everybody by name and are very welcoming. Each class is unique and different so you'll never do the same workout twice. I've probably had 10 different instructors and everyone of them had a different style but they were all FANTASTIC. I couldn't say a single negative thing about any one of them. They all take pride in what they do and are even willing to stay late for extra help. I loved this place so much I drove about 34 miles round trip to workout. I'm unfortunately only in town for a few months for work and I'm going to miss this place a lot! I have reviewed FTF Charlotte before, but I cannot say enough good things about this place. First, the people. I don't care if you're curious about the students, instructors, or the folks who run the place, they are all fantastic. The people behind the counter and keeping the place clean are super-friendly, helpful, and simply pleasant to talk to. You can chat with them on day one, and it's like you're talking to an old friend. The instructors are incredibly skilled, competent, invested, and personable. They CARE about your training!! This place is not a "belt factory". They ensure that you know what you're doing, because they understand that if you need to use your training, it is your life that is on the line... and their goal is to give you every tool, technique, and opportunity to leave a bad situation with yours. Then, there are the students. 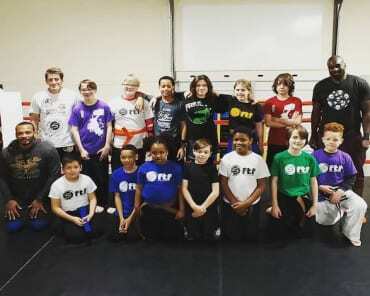 At FTF Charlotte, you are going to see and work with people from all walks of life, and they will be some of the nicest, hardest working, most motivated people you will meet. They are all there to work hard and learn... just like you. They will motivate you. They will entertain you. Most importantly, they will help you get better, just as you will help them. In a nutshell, there aren't enough positive words in the English language to properly express how great this place is. In my opinion, if you give them a try, you can't help but love the place, people, and training. Out of five stars, I give FTF Charlotte TWELVE!! Since joining FTF I've lost 30lbs and I am feeling strong and confident. I enjoy every drop of sweat I earn in this place. It has a great all around atmosphere and even better staff and instructors. 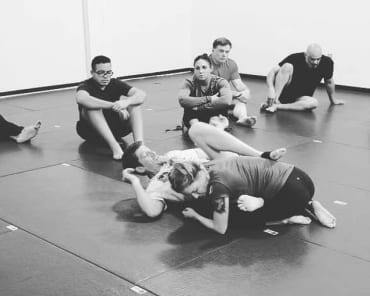 I recommend everyone to come on in and try a class. You'll love it and never regret wanting to join. It will lead you in the authentic path to enlightenment as you strive for greatness on your fitness journey.